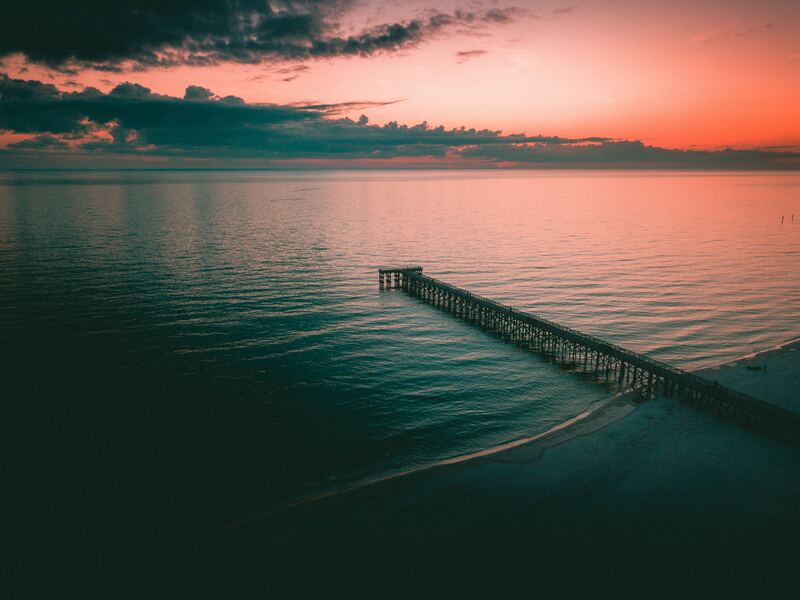 At the heart of Mexico Beach, find an active community fishing pier and beach park where you can watch for the biggest catch of the day or simply soak in an amazing sunset over the Gulf of Mexico. This friendly and unassuming community features a slow pace, no traffic lights and seven miles of coastline. A varied mix of beach cottages and low-rise condominiums line the main stretch where you’ll also find casual beach joints offering up fresh seafood and gift shops with souvenirs perfect for commemorating time spent in this little slice of heaven. The St. Joseph Peninsula extends to the east, creating consistently calm waters and little undertow making swimming friendly for the whole family. Shelling is another popular pastime for beach combers as well as paddleboarding or ocean kayaking. End the day at the Lookout Lounge where you’ll find a mix of locals and tourists enjoying live music and a cold drink after a day well spent in the sun.